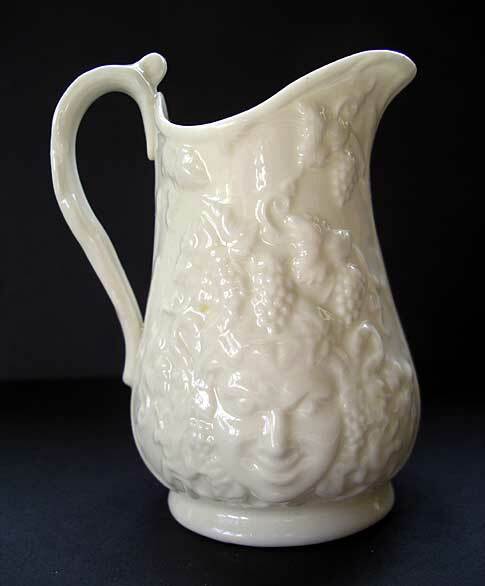 "A striking Irish Belleek porcelain cream jug - beautifully made, at the world famous County Fermanagh pottery works Ireland. 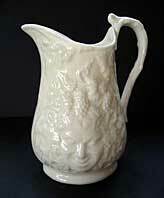 Another Belleek pottery original design with Bacchus type character - it is known as the Mask pattern. 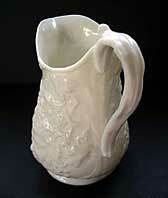 There is no mark visible on this piece but we guarantee it is best Belleek china. 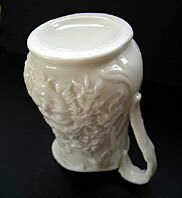 We estimate from comparison with marked examples that this piece dates from about 1926 to 1955. 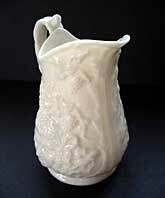 A lovely display example to add to your best Belleek collection." Antiques Expert Hamilton Bear. Dimensions: height approx. 105 mm. Marks: No marks but we suspect the piece may have had a faintly applied 3rd Black Mark or 1st Green Mark which has worn away.